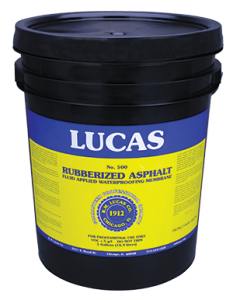 A water-based rubberized asphalt protective coating for concrete and block foundations. Low modulus and extremely high elongation allow bridging of non-structural foundation cracks and resistance to hydrostatic pressure. Meets IRC 406.1 – 406.2, IBC 1806.2 – 1806.3.